Ever since I wrote the post about John Alexander’s fence I have been paying a lot more attention to the cast ironwork that graces many a building in north Brooklyn. Most of it is more or less identical. There is, however, a real gem to be found at 680 Manhattan Avenue. 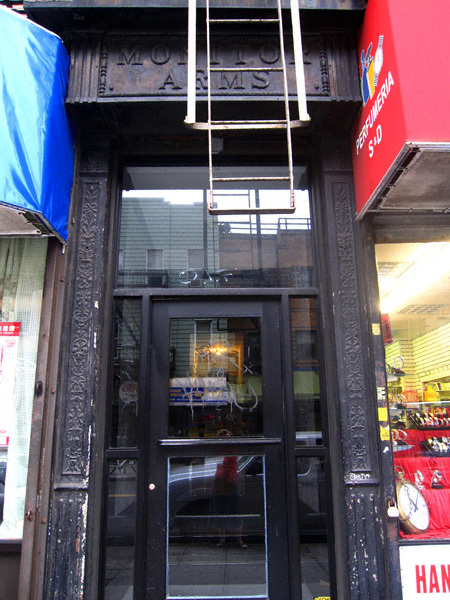 Lest you cannot read the text above the door (which is obstructed by a fire escape) it reads “Monitor Arms”. When the opportunity presents itself, dear readers do check this out in person. 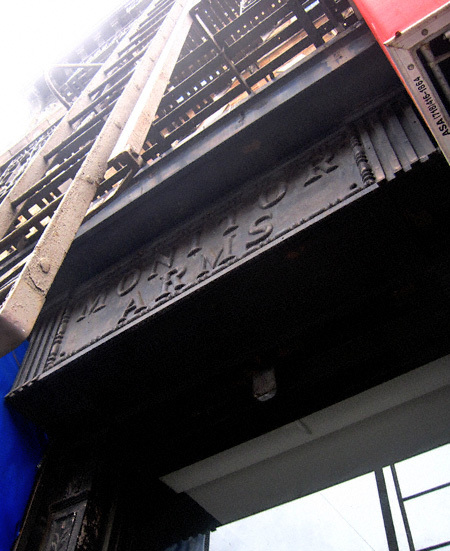 Not only is the “Monitor Arms” a really neat piece of living history but it is also helluva lot more attractive than its namesake!